If you are a music lover and love listening radio then I have a good news for you! In this Audials Android Radio player review, I will share how you can listen to any radio channels for free. Radio have been a great source for listening to music to all the music lovers. But the issue comes when you move to different locations. Recently, I came across Audials Android Radio player which helps you to listen to any of the 80k radio channels online from a different part of the world. 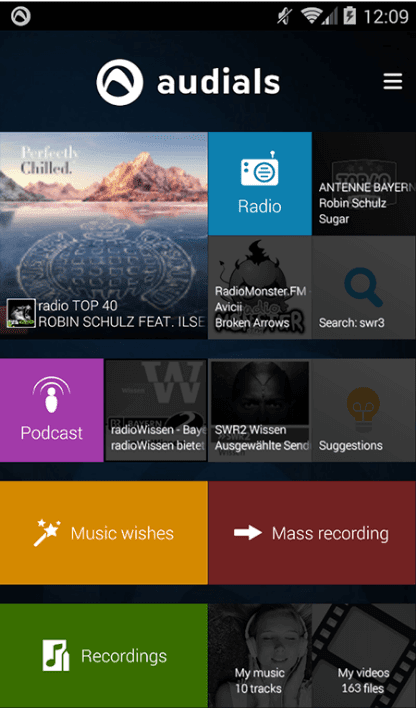 Audials Android Radio player is a free android app by Audials along with the recording features through which you can browse through online radio channels. Audials is a radio player and recorder with over 80,000 radio stations including most wanted stations of the East Coast, Midwest, South and West Coast. 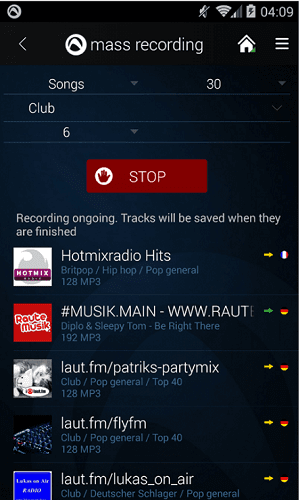 Just record with a single click your favorite music directly and in best quality from radio! Audials is a leading software development company founded in 1998 and since then they are developing end-user focused applications. This is a Romania-based company having a worldwide presence. With over 100 Million users, Audials is growing very rapidly and making an impact in many different business verticals. They create software for all the leading operating systems like Windows, iOS, and Android. You can also find many software and application web based. To get started with the Audials Android Radio player, you just need to enter your favorite artists or select a music genre, country or a local station near you. 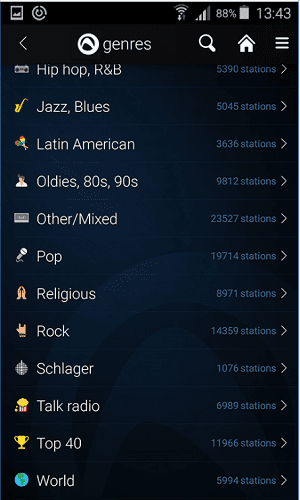 Audials Radio App will find the Internet radios for you. 80,000 radios with MP3- or AAC-Audio streams are included. Not only this, MP3 download, saving it offline, etc. features have also been included which makes your experience even better. 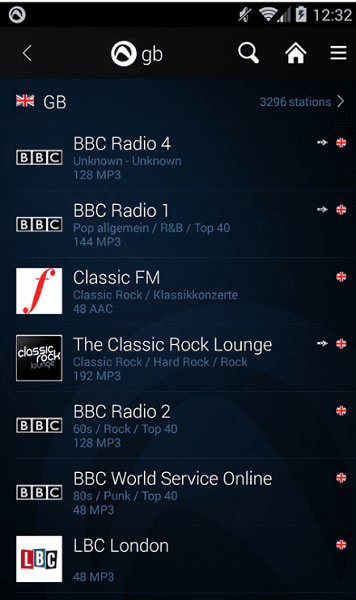 Audials have radio player for both Android and iOS but in this Audials Android Radio player review, we will be focusing on the Android version. To get started with the app, you first need to download it from the play store. Once downloaded install it like you do for any other android app. Now open the app and you will find the welcome screen like below. 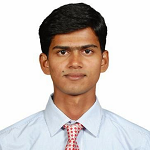 The functions are self-explanatory and you can easily browse through different sections for features. 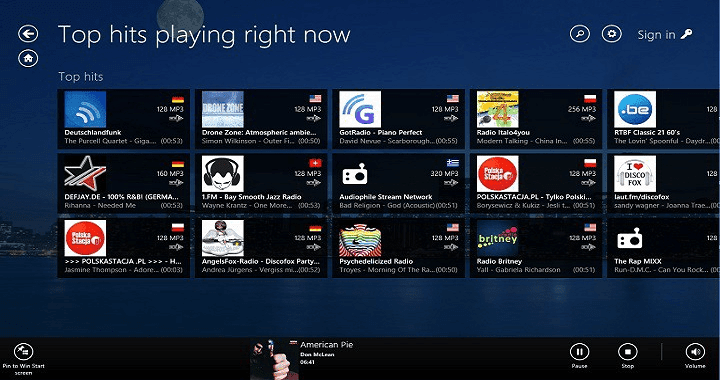 If you want to start with Radio, tab that option and you’ll have all the 80k online radio channels available. It will be usually sorted by popular channels. You can also search for your favorite channels and listen to that. You can also browse through genres for the type of music available with the app. Currently, 100+ styles of music are available in the app. The best thing is, the radio will be like the normal android app and you can minimize it as well while doing some other work. If you liked any song, you can download the mp3 of that of you can do mass downloading as well. All these features are free to use. 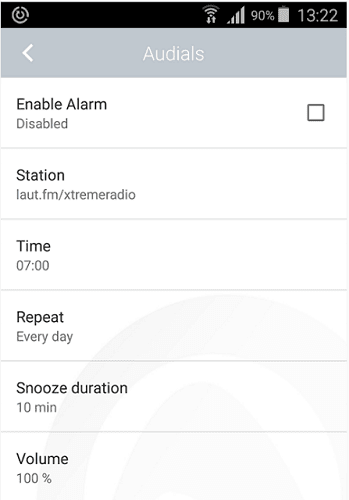 Another interesting thing I found with Audials Android Radio player is the wake-up alarm. You can set the alarm to wake up with your favorite radio station. This works like any other alarm. The difference will be the music. Here your favorite radio channel will play a music. Here are some important features of the Audials Android Radio player you should know to make the best use of it. To search any station, enter your favorite artists or select a music genre, country or a local station near you. The app will find the match from their 80k channels with MP3- or AAC-Audio streams are included. You can find all the leading radio stations in the USA along with other countries free here. Lite FM, KTU, Z-100, Fresh FM, VirtualDJ Radio, Hot 97, Hard Radio, Radio Caraibes, The Beat LA, Undergroundradio, Kiss FM, Radio Kiskeya, etc. are some of the leading channels available here. An interesting feature by Audials Android radio player is the alarm clock. You can set the time you want to wake-up with your favorite radio station and wake up at the time. You can also snooze it for some time so that it can ring later. You can record any songs in the mp3 version and save to your phone. This feature is available with all the songs. You can even do a batch operation where multiple songs can be downloaded at once. You can either download it on your phone memory or SD card or in the cloud as well. From news, documentaries and current affairs to language courses, tech reviews, and comedy, Audials cover an extensive range of entertainment with thousands of podcasts. Over 10k+ podcast is available in the app. Audials Android Radio Player is one of the leading radio android apps through which you can listen to any online radio station. The app is free to use and has got around 5 million downloads with an average rating of 4.4. If you liked this Audials Android Radio Player review, please share it with other music lovers.